For your wedding, I would love to create a cake that your heart desires. I specialise in wedding cakes that do not necessarily "scream wedding". They are different and fun, but still beautiful and elegant - fit for a wedding. 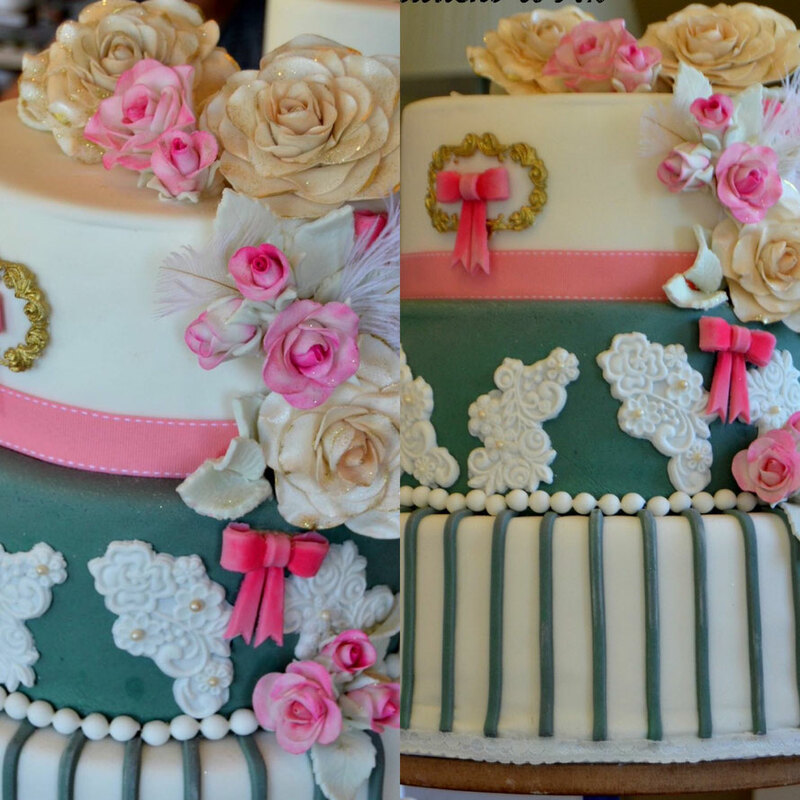 I work with your theme, colour scheme and overall style to create a cake unique to you. I can work with your budget to create something beautiful. Simple can also be stunning! All wedding consultation sessions are run on Saturdays between 9 am and 12 noon and last 45 min to 1 hour, and include a tasting session. You will be able to pick 3 cake and filling flavours from the flavours section to try at your consultation and we will discuss all your needs and requirements. Additional flavours will be charged at £5/flavour. A £30 non refundable session booking fee is applicable and redeemable against any future wedding order. Tight budget? Have a look at our cupcake bouquets as a beautiful, delicious and more cost effective alternative to a wedding cake!